Steve Railsback - "Helter Skelter" (1976) The memory of Manson was still fresh when this TV special based on Vincent Bugliosi's book aired. CBS even made it a two-night special. Michael Reid MacKay - "Summer Dreams: The Story of the Beach Boys" (1990) This TV special about the career of the Beach Boys explored Manson's relationship with founding member Dennis Wilson. Marcelo Games - "The Manson Family" (1997) Officially released in the U.S. in 2004, this dramatization of the Manson Family murders in director Jim Van Bebber's film is seen all through the lens of Super 8 home movies. Trey Parker - "South Park" (1998) Way back in Season 2 of "South Park," Trey Parker had some fun with Manson by having the kids teach him the true meaning of Christmas after he escapes from prison. 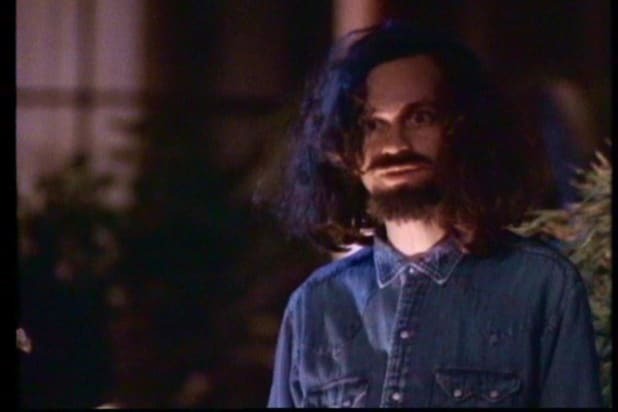 Jeremy Davies - "Helter Skelter" (2004) This CBS update of their classic "Helter Skelter" shifted more of the focus away from Bugliosi and onto Manson and "family" member Linda Kasabian, with Jeremy Davies playing the cult leader. Ryan Kiser - "House of Manson" (2014) Kiser actually had the "honor" of portraying Manson twice, once in 2009's "Lie" and again in 2014 for "House of Manson." 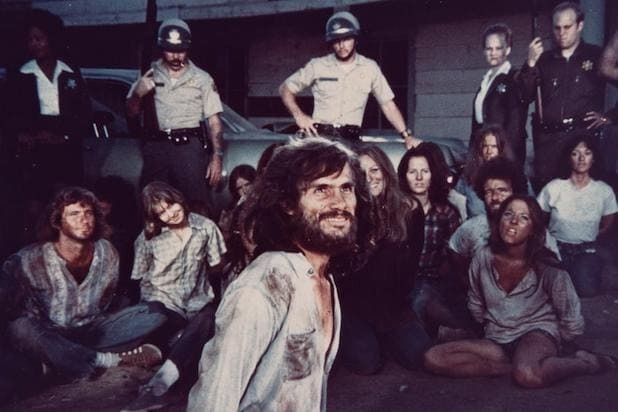 The latter film goes further back into Manson's life leading up to the murder of Sharon Tate and resembles Charles "Tex" Watson's account of events most closely. Taran Killam - "Saturday Night Live" (2014) Remember when news came out that Manson had found love in prison with 26-year-old Star Burton? Who couldn't fall for his beard and "winning smile." And he's only in for income tax fraud! Gethin Anthony - "Aquarius" (2015) The short-lived NBC drama "Aquarius" was set in 1967 and followed two detectives searching for a missing girl who ended up being a Manson recruit. 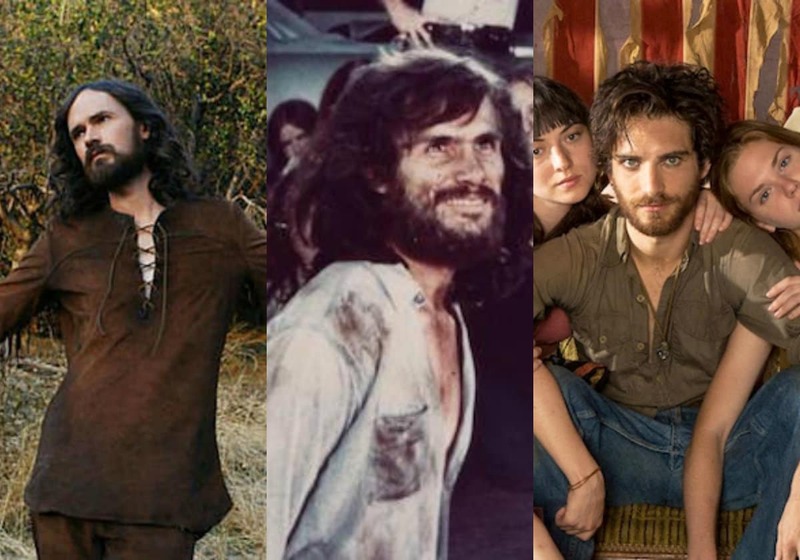 Jeff Ward - "Manson's Lost Girls" (2016) Even Lifetime got into the Manson Family story. One of the network's original movies focused on Linda Kasabian and several of the other female members of the family caught up in Manson's spell. Evan Peters - "American Horror Story" (2017) In "American Horror Story: Cult" Evan Peters plays a politician who becomes obsessed and inspired by Manson and is eventually possessed by him. Damon Herriman - "Once Upon a Time in Hollywood" (2019) Quentin Tarantino's ninth film isn't specifically about Charles Manson, but it is set in Hollywood in 1969 and includes Margot Robbie portraying Sharon Tate along with many other real life figures rounding out the cast. Tarantino's Manson is Damon Herriman, who also portrayed Manson in David Fincher's "Mindhunter." Matt Smith - "Charlie Says" (2019) "Charlie Says" is set years after the Manson Family murders and focuses on the psychological rehabilitation of Leslie Van Houten, Patricia Krenwinkel and Susan Atkins. "Doctor Who" actor Matt Smith portrays Manson in flashbacks to examine the mental spell he cast on the many women who killed for him.